There are two ways to go about building applications on Hyperledger Fabric framework. The first method is to use Composer and the other is work directly on core Fabric and writing chaincode using Golang, Node.js, or Java. What is Composer and why you should stay away from it? Hyperledger Composer is a set of tools that makes the whole process of building blockchain application faster and easier. Composer speeds up the development time significantly and provides RESTful APIs for your applications to interact with. Composer also abstracts away essential development steps that would otherwise prove crucial to understand critical parts of the Fabric framework. While the tool is helpful for rapid prototyping and can prove vital for a non-technical or a beginner to get started, however it does abstract away the most interesting parts of the technology. Composer is helpful to get started on learning the technology but it you wish to understand the ins and outs of technology, Composer is not the way to go. Here, we will be building a small network with one ordering service and one organization. We will be creating one channel for that organization and bootstrap one anchor peer in this part. In the next part, we will then be using Typescript to write chaincode in Node.js environment and install it on the peer to provide access to the ledger. If you wish to get your hands on the code, you can find the repository here. 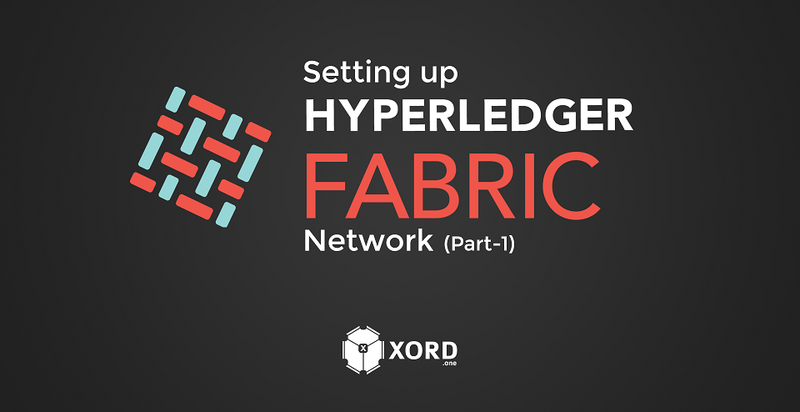 If you haven’t already set up the development environment for Hyperledger Fabric, I urge you to head to this article I wrote a week ago. We will be creating a simple network with one ordering service (orderer), one organization with one peer. We will create one channel and then install chaincode on that channel. In real life, one channel with one organization makes no sense but we are building it like this for the sake of simplicity. If you are not familiar with the terms that I used and want to learn the basic of Fabric, there is no better place than the official documentation. Create a new directory and name it first-network. This will be our root directory for the project. Create a new directory inside first-network and name it network. Create a new file call crypto-config.yaml inside network directory. We will have following directory structure. We define the orderer and different organizations that we want to be part of the network in a .yaml file. We normally call it crypto-config.yaml. Put the following in the crypto-config.yaml file. As we can see, we have defined one orderer and one organization. The domain/ID of the orderer is orderer.example.com and the domain of the peer organization is org1.example.com. The Template Count defines the number of peers that we want to bootstrap as part of the network and Users Count defines the number of users that will belong to that organization when the network is first created. Create a new file called configtx.yaml inside the network directory. The project structure will now look like this. Paste this in configtx.yaml file. First we define the MSP IDs of our Orderer and Org1 and also define the paths to the certificates that we will generate later. The path that we define in MSPDir does not exist right now. We will generate the certificates and create the paths later. Here, we also define the domain and port of anchor peers for our organization. The we configure the capabilities of our network as having the ability to create new channels, etc,. Then we define Orderer specifications as running on solo consensus algorithm and its port. Finally, we define Profiles that we will be using to refer to these specifications. We define the genesis block for our Orderer as OneOrgOrdererGenesis. The thing that we need to understand here is that there is no global blockchain ledger in the Fabric framework and ledgers are only available at the channel level. And there are two types of channels in a Fabric network, a system channel that is used by different orderers in the network and application channels that are composed of different peers at the application level. OneOrgOrdererGenesis is the profile name of the genesis block of the ledger in the system channel that is used to start the Orderer. Then we define a consortium called SampleConsortium with Org1 as part of that consortium. And then we have the profile name of our channel called OneOrgChannel with Org1 as a member of that channel. Open a terminal window in the /first-network/network directory and execute these commands. The Cryptogen tool that we installed in the previous article will be used to generate crypto materials to be used when signing transactions. This will create a new directory and output two more directories inside it. Our project looks like this now. The new directories will have the crypto material for our orderer and peer organization. Execute the following commands to generate a genesis block, a channel transaction, and an anchor peer configuration transaction. We will then use these configuration transactions to bootstrap a Fabric network. Configtxgen tool that we installed in the previous article will be used to generate configuration transactions. configtxgen uses the profile that we defined in the configtx.yaml file. The tool will look for the profile named OneOrgOrdererGenesis in the configtx.yaml. The tool will look for a channel profile named OneOrgChannel and output a configuration transaction named channel.tx in the /config directory. We also provided the ID of the channel. The above command will create anchor peer configuration transaction called Org1MSPanchors.tx in the /config/ directory. The project structure now looks like this. Now that we have the configuration transactions, we will now move on to using these configuration transactions to start Orderer and create a channel. We will be using a tool called docker-compose to start multiple docker containers that will work to simulate a Fabric network. To make things simpler, we will not be using multiple machines, we will be taking advantage of the power of docker and docker-compose to simulate multiple machines. We will not be talking much about docker-compose here. If you want to learn more, visit docker’s documentation. Create a new file called docker-compose.yml inside /first-network/network directory. # match the username and password set for the associated CouchDB. # for CouchDB. This will prevent CouchDB from operating in an "Admin Party" mode. As you can probably guess, we will be using docker-compose to start five containers namely ca.example.com, orderer.example.com, peer0.org.example.com, couchdb, and cli. ca.example.com will be used to issue identities to the users in the network. The certificate authority is owned by Org1. orderer.example.com will be the orderer of our network. peer0.org.example.com will be the only peer in our network which will host our ledger and chaincode. couchdb is the container for the database. cli is used to install and instantiate chaincode on peer0 owned by Org1. The orderer container uses the genesis.block that we generated earlier to start the orderer. Before we start the network, we need to do a very important change in the docker-compose.yml. Execute this command from the network directory. You will see a file with _sk appended at the end. Copy the name of the file, the secret key of our CA. Go back to docker-compose.yml file and search for the keyword “secret_key_here”. Replace the phrase “secret_key_here” with the name of the file you just copied. We are good to go now. Run the command to start the network. The command will start four containers that will form our network. You can verify the containers that are running by executing the command. You should see an output like this. If you see a similar output as above, you have successfully started a Hyperledger Fabric network. Now, we will create a channel and join Org1 to that channel. Executing the following command will create a new channel called mychannel. The above command will use channel.tx configuration transaction that we generated earlier to create a new channel. Now run this command to to join peer0 from Org1 to that channel. Now, our peer from Org1 is joined to the channel mychannel. We created the simplest network with one orderer and one organization. 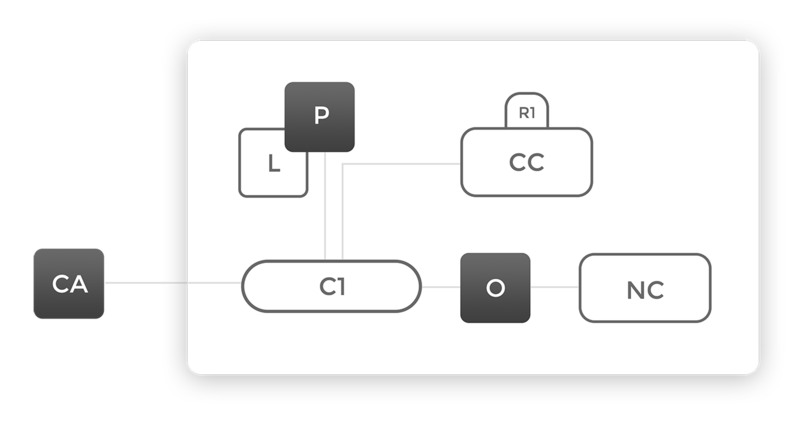 In reality, there are multiple orderers and multiple organizations connected to multiple channels. We might get into exploring it later down the line. If you want to get your hands on the code, you can get it here. In the next part, we will learn to code chaincode in Node.js and install it on our peer.